宇野、浅野、横澤 (2019). 漢字の形態情報が共感覚色の数に与える影響、心理 学研究, 89, 6, 571-579. 中島、横澤 (2018). 視覚的注意の時空間的維持による変化検出の促進、心理 学研究, 89, 5, 527-532. S. Kanaya, W. Fujisaki, S. Nishida, S. Furukawa, & K. Yokosawa (2015). Effects of frequency separation and diotic/dichotic presentations on the alternation frequency limits in audition derived from a temporal phase discrimination task, Perception ,44, 2, 198–214. 正田、黒田、横澤 (2015). マジック状況における人間の顔や視線方向への偏重注視、認知心理学研究, 12, 2, 69-76. 中島、横澤(2015). 画像シフトによる変化の見落としにおける持続的注意の役割、心理 学研究, .85, 6, 603-608. 西村、横澤 (2014). 刺激反応適合性効果からみた左右と上下の空間表象、心 理学評論, 57, 2, 235-257. 浅野、横澤 (2014). 色字共感覚：文字認知と色認知の隠れた結びつき、ヒューマンインタフェース学会誌, 16, 4, 265-268. 横澤 (2014). 統合的認知、認知 科学, 21, 3, 295-303. R. Nakashima & K. Yokosawa (2013). Visual search in divided areas: Dividers initially interfere with and later facilitate visual search, Attention, Perception & Psychophysics, 75, 2, 299-307..
西村、横澤 (2012). 空間的刺激反応適合性効果、心理学評論, 55, 4, 436-458. 横澤、金谷 (2012). 顔と音声の感覚融合としての腹話術効果, BRAIN and NERVE, 64, 7, 771-777. R. Nakashima & K. Yokosawa (2012). Sustained attention can create an (illusory) experience of seeing dynamic change, Visual Cognition, 20, 3, 265-283. M. Asano & K. Yokosawa (2011b). Synesthetic colors are elicited by sound quality in Japanese synesthetes, Consciousness and Cognition, 20, 4, 1816-1823. 金谷、石渡、横澤 (2011). 自己による触刺激がラバーハンド錯覚に与える影響、基礎心理学研究, 30, 1, 11-18. M. Asano & K. Yokosawa (2011a). Rapid extraction of gist from visual text and its influence on word recognition, The Journal of General Psychology, 138, 2, 127-154. 中島、横澤(2010). フリッカー変化時における自然情景の視覚表象、心理 学研究, 81, 3, 210-217. 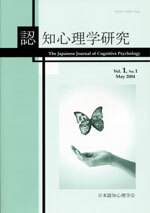 A. Nishimura & K. Yokosawa (2010c). Visual and auditory accessory stimulus offset and the Simon effect. Attention, Perception & Psychophysics. 72 1965-1974. A. Nishimura & K. Yokosawa (2010b). 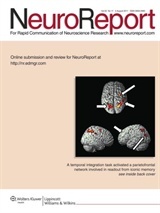 Response-specifying cue for action interferes with perception of feature-sharing stimuli. 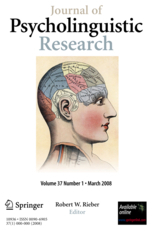 Quarterly Journal of Experimental Psychology, 63, 6, 1150-1167. A. Nishimura & K. Yokosawa (2010a). Effector identity and orthogonal stimulus-response compatibility in blindness to response-compatible stimuli. Psychological Research, 74, 2, 172-181. 江良、横澤(2009). 触覚的角度判断に対する視覚手がかり効果、心理 学研究, 80, 3, 232-237. R. Niimi & K. Yokosawa (2009b). Viewpoint dependency in the recognition of non-elongated familiar objects: Testing the effects of symmetry, front-back axis, and familiarity. Perception, 38, 4, 533-551. R. Niimi & K. Yokosawa (2009a). Three-quarter views are subjectively good because object orientation is uncertain. Psychonomic Bulletin & Review, 16, 2, 289-294.